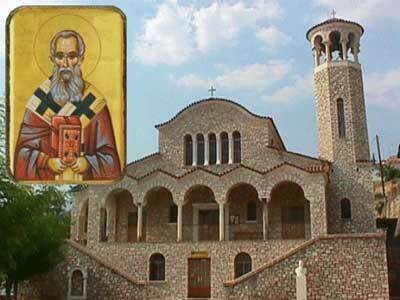 Saint Donatos reposed in 387 and was buried near a church he built and a grave he prepared in the village of Glyki of Paramythia, which is in Epirus, Greece. For security reasons due to the invasion of various barbaric tribes, the sacred relic was transferred in 604 to Kerkyra, where it was kept in Kassiopi. The refugees from Paramythia accompanying the relic, including Bishop John of Euroea, were welcomed by Bishop Alkison of Kerkyra and hosted in the Castle of Kassiopi. 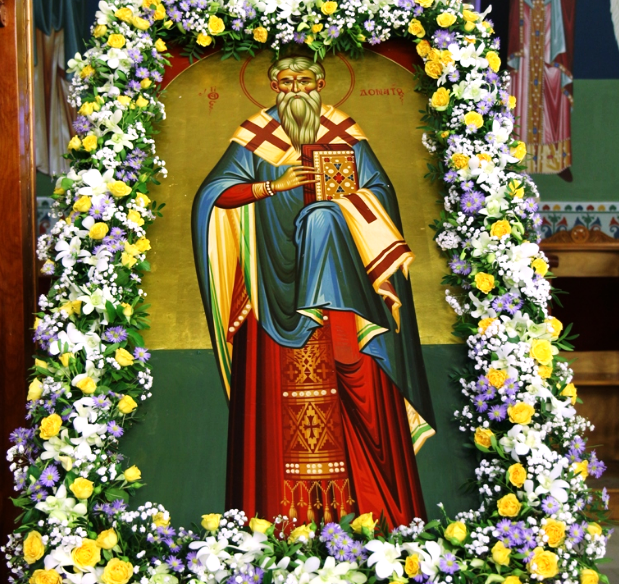 From three letters of Saint Gregory the Dialogist, the Pope of Rome, we learn that in 604 Kassiopi became the center of a conflict between Bishop Alkison of Kerkyra and Bishop John of Euroea. 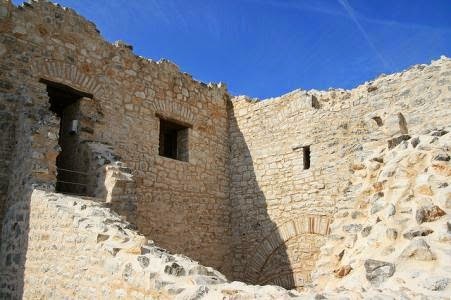 It was a jurisdictional conflict as to which Bishop the castle belonged. Roman Emperor Phokas took the side of Bishop John, and Pope Gregory of Rome took the side of Bishop Alkison, who also resolved the issue. It was agreed that Bishop John would remain in the castle as a guest, without disrupting the normal jurisdiction of the Bishop of Kerkyra. 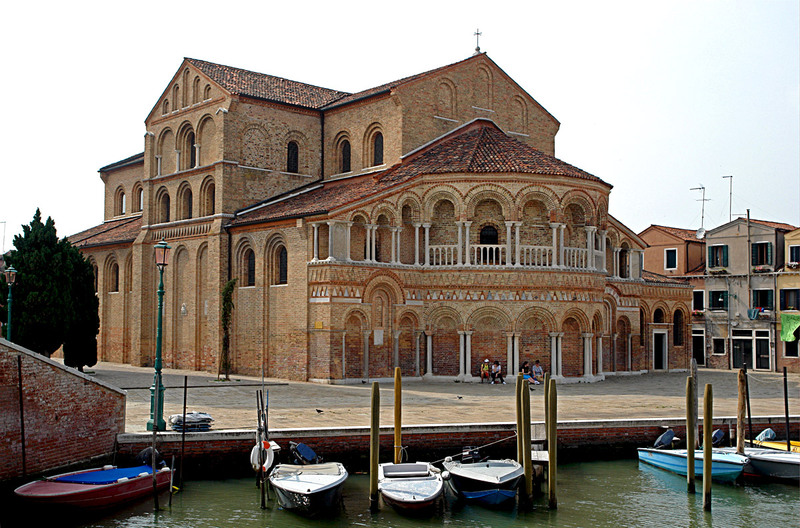 In 1125 the Venetian Doge Domenico transferred the sacred relic to the Venetian island of Murano in the Church of Santa Maria, where it was placed on a podium. The Italian faithful greatly honored Saint Donatos. 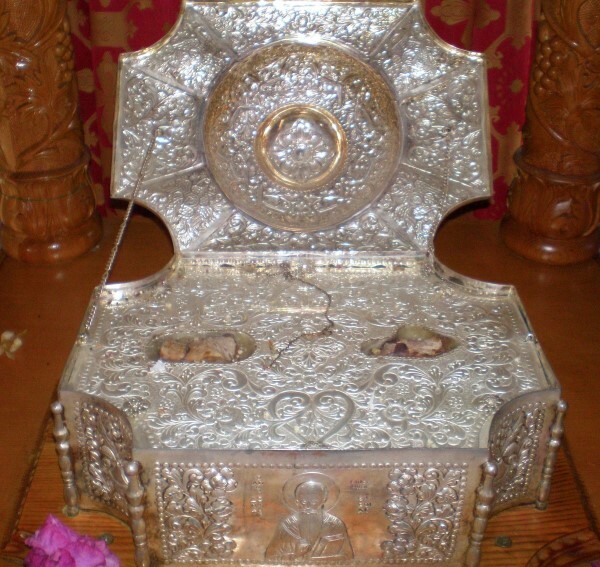 In recent years efforts were made by Metropolitan Titus of Paramythia and Ecumenical Patriarch Bartholomew to have the relics of Saint Donatos returned. 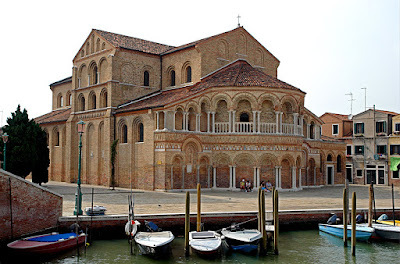 These efforts were realized on September 29, 2000 when the Church of Santa Maria e San Donato in Murano gave a portion of the relics of the Saint to the Metropolis of Paramythia, and they were placed in the Church of Saint Donatos in Paramythia with great celebration.